The Christian Counseling Associates of Raleigh office at 7008 Harps Mill Road, Suite 103 in Raleigh is very accessible for clients in Raleigh, Wake Forest, North Raleigh, Durham and throughout North Carolina’s Research Triangle communities. Our location is close to Falls Of Neuse Road and Six Forks Road — two major roadways in North Raleigh that both intersect with I-440 (the Raleigh Beltline) and I-540 (the Raleigh Outer Loop/Northern Wake Expressway). Close access to these major highways makes it relatively easy to reach CCA from northern Triangle locations including Wake Forest, Rolesville, Youngsville, Louisburg, Franklinton, Creedmoor, Butner and Durham, as well as Triangle communities such as Cary, Morrisville, Research Triangle Park, Chapel Hill, Apex, Holly Springs, Fuquay-Varina, Garner, Clayton, Wendell, Knightdale and Zebulon. Interstate 440 (Beltline) from the east, take Exit 10 — Wake Forest Road. Wake Forest Road becomes Falls of Neuse Road. Go north about 5 miles to Harps Mill Road. Turn left and go around the curve. We are on the left, 7008 Harps Mill Road, Suite 103. Interstate 440 (Beltline) from the west, take Exit 8B — Six Forks Road, north toward North Hills and turn right onto Six Forks Road for 2.1 miles. Turn right onto Sandy Forks Road for 0.2 miles, then right onto Spring Forest Road for 0.9 miles. Turn left at Falls of Neuse Road. Go about 1 mile to Harps Mill Road. Turn left and go around the curve. Turn left into our one story office building. 7008 Harps Mill Road, Suite 103. Interstate 540 (Outer Loop – Northern Wake Expressway) from the east, take Exit 14 — Falls of Neuse Road. Go south 2 miles to Harps Mill Road. Turn right and go around the curve. We are on the left in the one story building, 7008 Harps Mill Road, Sutie 103. 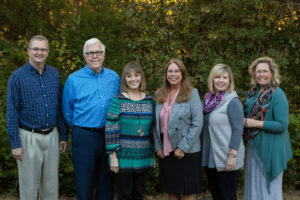 For clients attending Couples Intensives and other events from outside the immediate NC Triangle area, Christian Counseling Associates of Raleigh offices and program locations can be accessed by vehicle from I-40 and I-85, as well as by air at the Raleigh-Durham International Airport (RDU). We will be happy to provide you with more specific directions from your location. Please use the form below to request a coaching or counseling appointment, to submit a question or to inquire about our FREE 15-minute phone consultation.